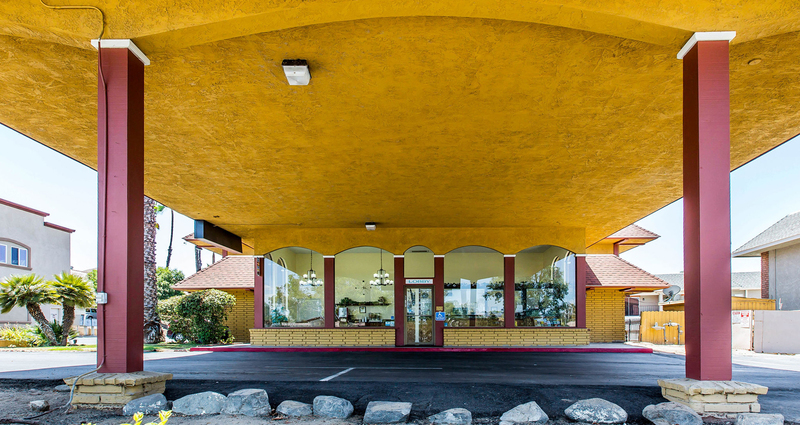 Hotel in Canyon Lake near Lake Elsinore, Perris Valley, Temecula Wine. 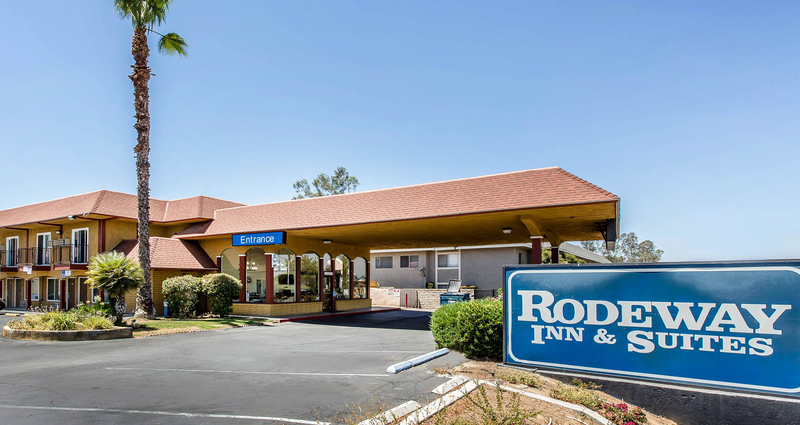 Located near Lake Elsinore and so much more, the Rodeway Inn and Suites in Canyon Lake, CA is waiting to be your home away from home for one night or several. You're always welcome here. We're pleased to be located just four miles from great attractions like Perris Valley Skydiving, Lake Elsinore Outlets and more. We're also within minutes of many other fine attractions you'll enjoy visiting again and again, like Lake Menifee, Storm Stadium, Diamond Stadium and the Mulligan Family Center. 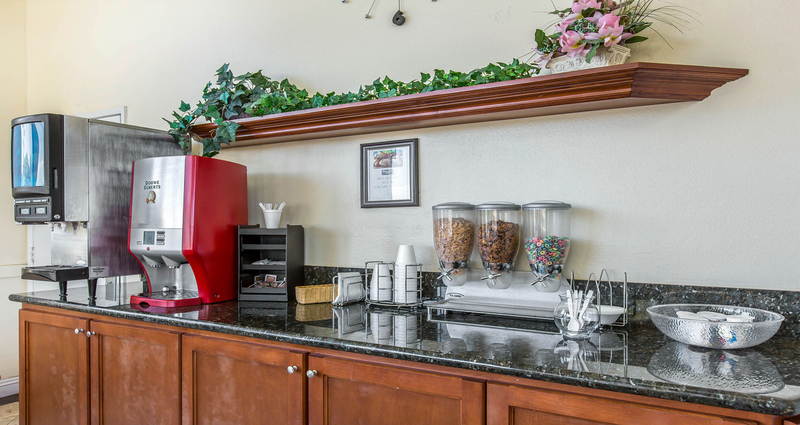 Our hotel in Canyon Lake, CA features the amenities you need for the best stay of your life, including a free continental breakfast, free wifi and free local calls. We also provide access to a fax machine and copier. And don't worry about parking. We have plenty of free outdoor parking for you and all guests, so we never have to turn anyone away because of lack of parking. 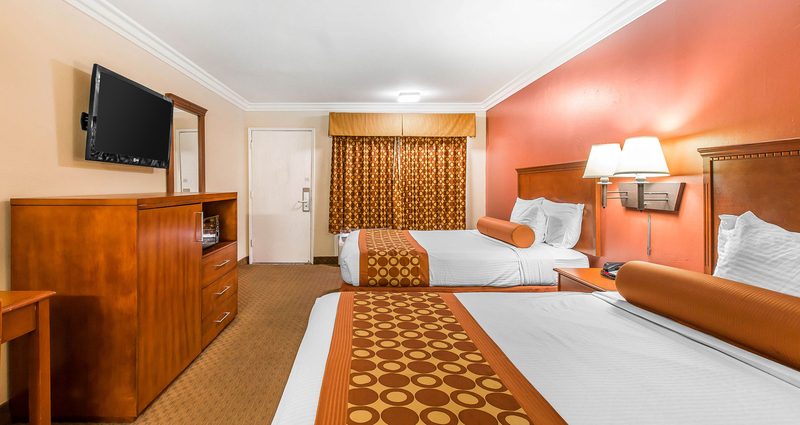 Each room features a microwave, refrigerator, coffee maker, television with cable service. Some rooms have sleeper sofas and balconies. 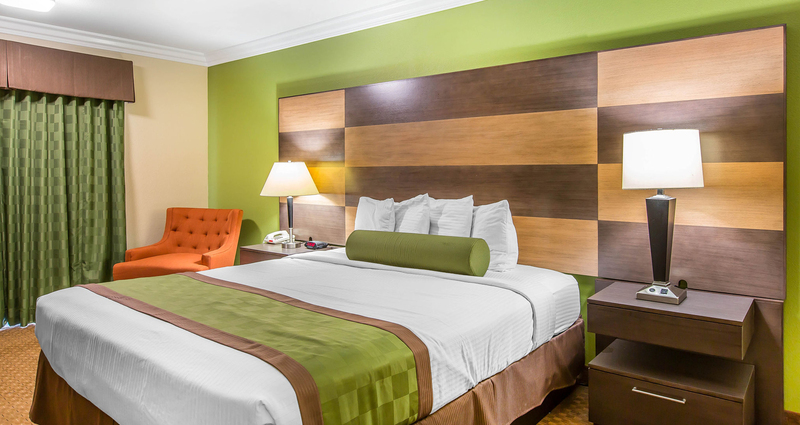 What more could you want from an inexpensive, comfortable and well-located hotel? 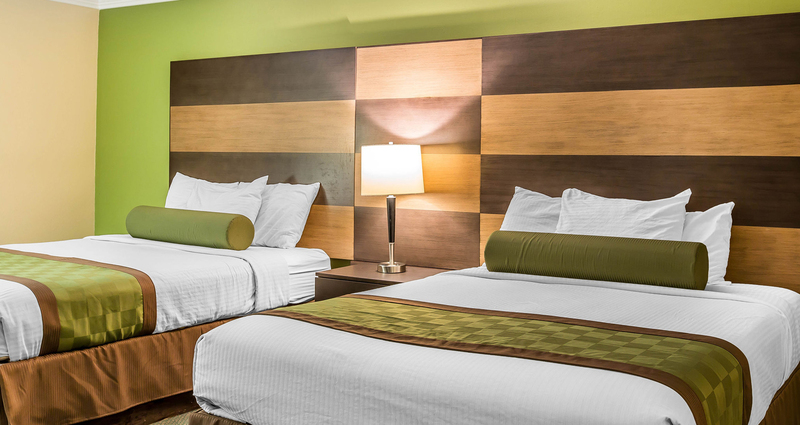 If service is important to you, there's no place in the area that offers better guest service. That's because we employ only hotel industry professionals who understand the importance of providing the best possible service and genuinely enjoy taking care of guests like you. 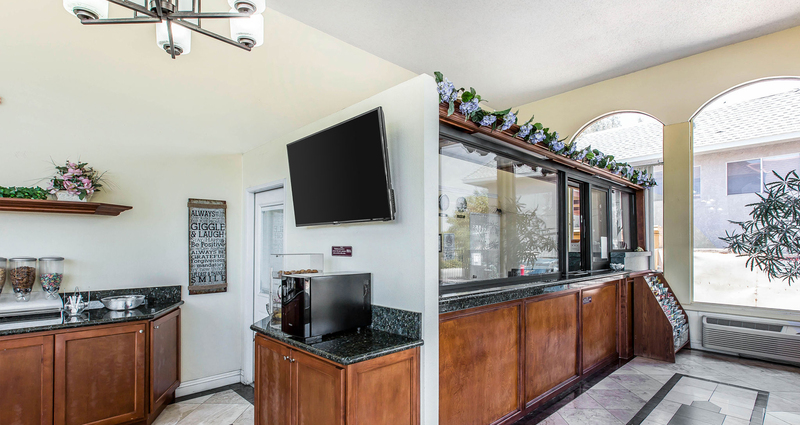 And since our front desk is always open, we're always here for you. 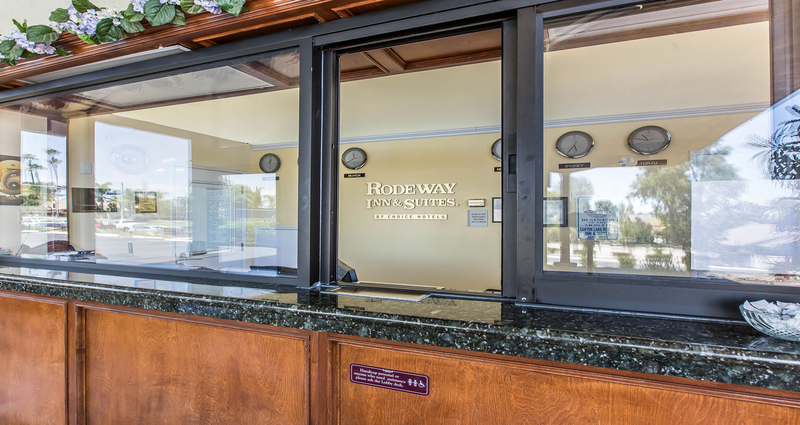 When visiting the Canyon Lake, California area, look no further than our Rodeway Inn and Suites for the best accommodations at a fair price. This is a beautiful area with many attractions to catch your attention, and you deserve a great place to stay while exploring them. How may we serve you? 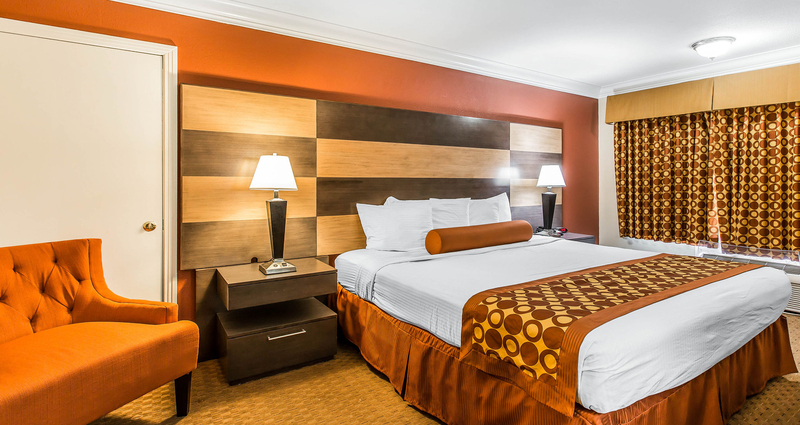 This website is owned and maintained by Rodeway Inn & Suites Canyon Lake, CA a licensed user of certain proprietary trademarks and service marks of Choice Hotels International, Inc.